Berkhamsted hairdresser Cienté supported local boutique Amelie in a night of food, fashion and fun at The Gatsby last week. The sell-out event at Berkhamsted’s most glamorous location gave customers a sneak preview of what’s hot on the hangers this season. Guest were greeted with free-flowing bubbly and a delicious meal, followed by a catwalk fashion show featuring the latest looks from designer labels including Alice by Temperley, Paul Smith Black and Nocturne. In a slickly choreographed show, Amelie’s own customers modelled gorgeous evening wear to the pounding beat of Red Dress by The Sugababes and strutted the latest footwear to the Nancy Sinatra classic These Boots Were Made for Walking. 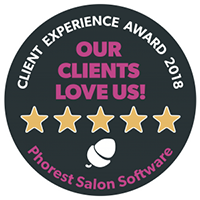 Cienté stylists Simon Sparks and Natasha Mason worked tirelessly behind the scenes to create a range of stunning looks, from chic, sleek evening styles to big, fun Afro hair. At the end of the evening, guests left with more than a few ideas of what to put on their Christmas lists, and a goodie bag of products from Cienté.